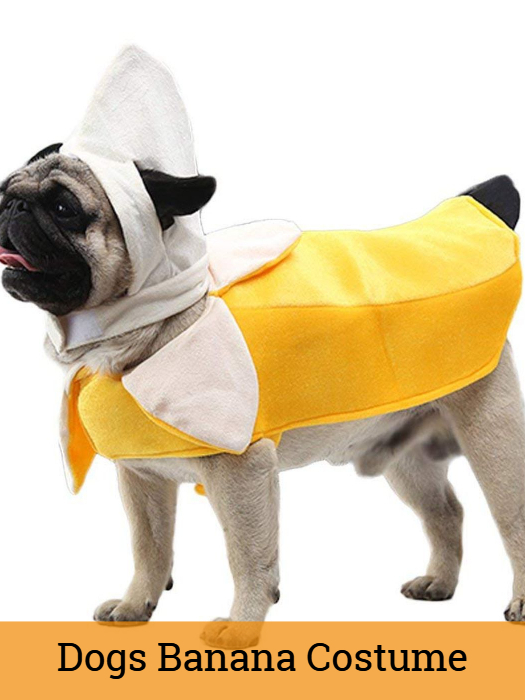 Buy banana costumes and accessories for kids, adults, toddlers, babies and dogs at amazing discounts. Don’t miss to use the coupon code “FB10” to avail the exciting offers. 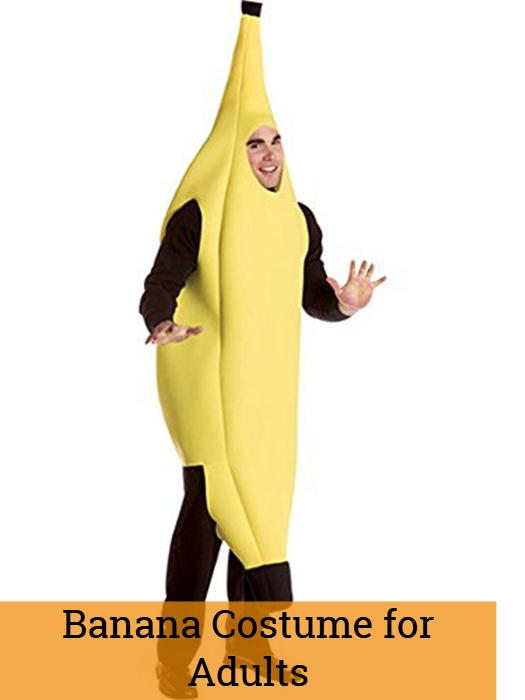 Let’s get you a costume that’s very peeling and rich in Potassium! Yes, that’s Banana. We have plenty of fruit costumes for you in variable sizes and amazing discounts. Styled as simple polyfoam tunics, and slipping into one of these banana costumes means you’re going to be pretty much yellow in no time. There is no doubt that bananas are yummy! Whether you make a banana milkshake out of it, make fruit salad mixing it with different fruits, eat a banana ice-cream or eat it like as it is, it would always taste delicious. Then why not try a costume? Sounds interesting huh? You can find hundreds of different food costumes like pineapple, strawberry, grape, orange, avocado, popcorn, burger, corn, egg and many more. We carry the sizes for kids and sizes for adults. So, no need to worry anymore. Dress up in banana costume whether you are 4 or 24. Here at Costumejoy.com, you’ll get that fruity style you’ve been looking for. Aside from a tasty yellow mellow flavour, what’s the first thing you think about when you imagine a banana? Ohhh…It’s the taste which mesmerizes us, the soft, fruity sweet flavour of banana that we crave for, or maybe it’s the fact that monkeys love them. Just kidding! 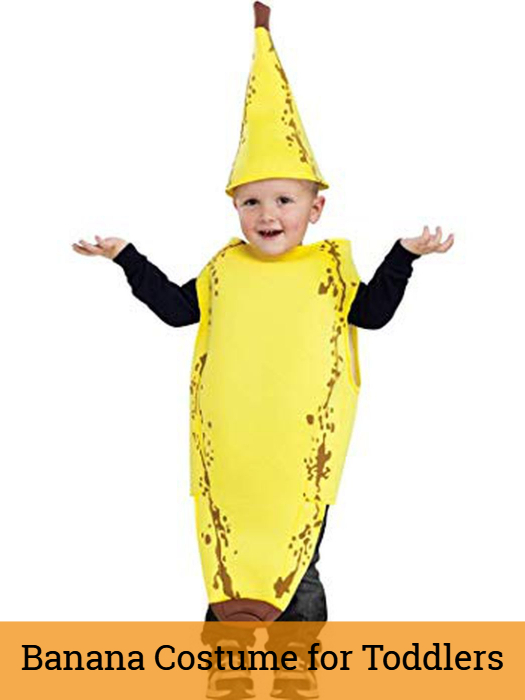 The banana costume for adults is just perfect when you are throwing a fruit themed party, your child’s birthday party or any other event. They would be just perfect or Halloween as well. Your kids will be more than happier if they get a chance to wear their favourite fruit costume on Fancy dress competitions, annual Functions, Birthday parties or even Halloween. 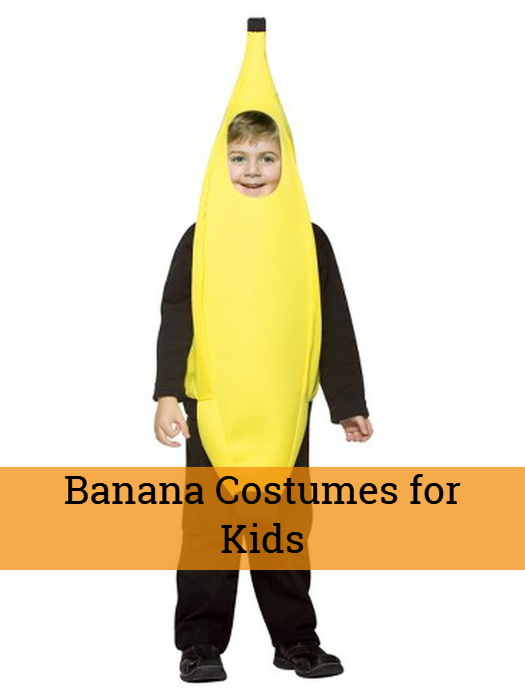 Take a glance from our huge collection of Banana costumes for kids and you won’t be able to resist yourself from buying. We also have one of the best Apple costumes for kids to make them extra happier on their birthdays, Halloween and Christmas parties. This gift of fruit costumes would motivate them to eat healthier. You can even find banana print t-shirts, brooches, gloves, hats, and lockets apart from banana costumes. So what are you waiting for, hurry up and grab the opportunity now, don’t forget to use the code “FB10” to get the exciting offers? Kids are all crazy about superheroes. They all love Avengers, Superman and Batman. Then why not buy them a costume of their favourite superhero. You will find cheap superhero costumes at Costumesjoy and that too at variable sizes.